Reverse Mortgages in California, Nevada and Nationwide. Many homeowners forget the potential benefits of reverse mortgage because the idea of a reverse mortgage seems too good to be true. But Maggie O’Connell will help you understand and complete your reverse mortgage efficiently. 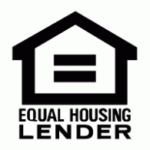 You’ll be able to take out an equity loan, using your house as collateral and avoid the stresses of monthly payments. If you’re looking for a financial loan in Nevada, we can help you arrange a reverse mortgage loan. Maggie O’Connell will give you all the information you need to make solid financial decisions about your home equity and an understanding of how reverse mortgage might help your current financial arrangements. Give Maggie O’Connell a call today (800)-684-9438 and learn everything you can about the biggest secret in the senior homeowner loan market. A whole world of options will open up to you, giving you a chance to finally rest easy about your financial situation without excessive risk. Find out what a select group already has – that we can help put your financial struggles and stresses to rest.